The IHBC and the Supply Chain team at HS2 (High Speed 2) are inviting IHBC members to an HS2 ‘Enabling Works Supplier Day’ on 3 May at the VOX, Birmingham, with Tuesday 18 April the deadline for registering interest. HS2 ‘Enabling Works Contractors’ (EWCs) need to respond to challenges around a range of historical and listed sites and fabric that they need to work with in delivering their HS2programme of works over the course of this year. To supplement their capabilities, they seek suitably skilled and experienced specialists in these areas, and IHBC members are a target group. 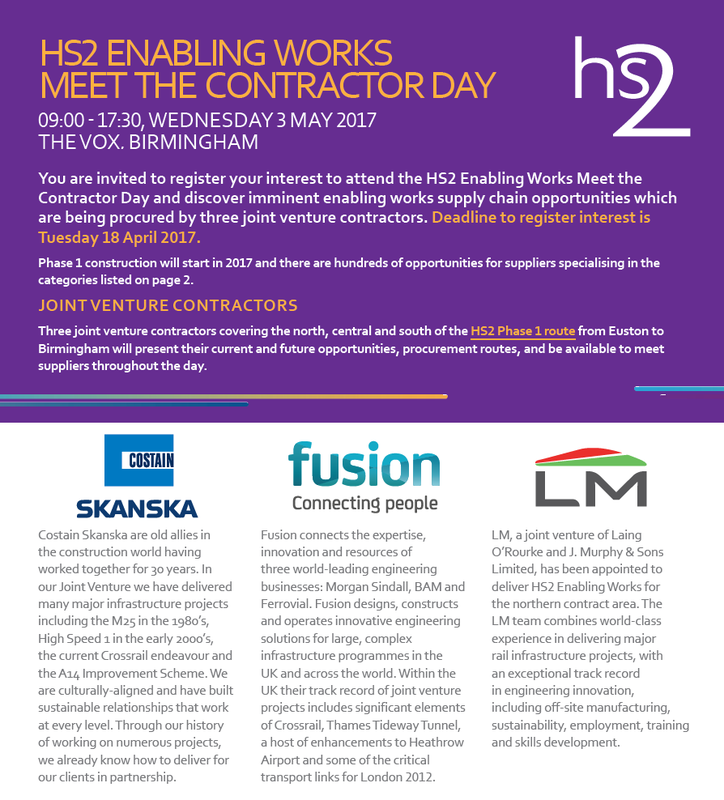 In preparation for the bid there will be a ‘Enabling Works Supplier Day’ on 3 May at the VOX in Birmingham. This offers the chance to meet the EWCs and HS2 specialists so that they can prepare themselves to bid for the upcoming opportunities. introduce and educate potential suppliers to/on CompeteFor – the advertising portal where all applicable opportunities will be advertised.